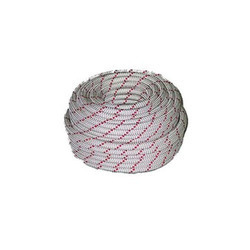 AN ISO 9001:2008 certified company manufacturing a wide range of braided, woven, knitted narrow fabrics like ropes, cords, laces, tapes, ribbons, webbings, belts, shoe laces, elastics, lanyards, slings, threads & twines. Owing to excellent performance and compatibility in various industrial applications, our range is extensively used across diversified sectors. 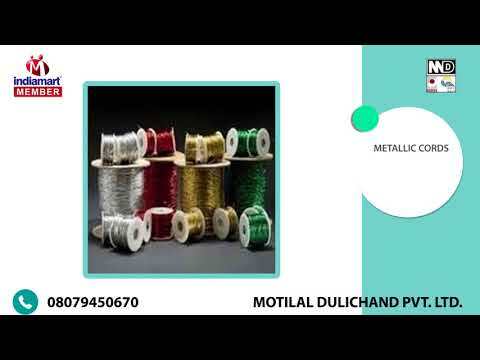 Ours is an ISO certified company named Motilal Dulichand Private Limited has established in the year 1950. We are involved in manufacturing, exporting, trading, and also supplying a wide range of these Narrow Fabrics which has gained a huge appreciation from different users for its quality and durability. 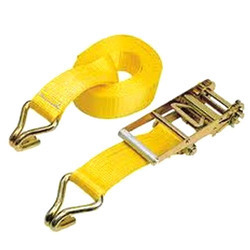 Our range of products includes Ropes, Tapes, Webbing & Straps, Belts, Ribbons, Threads and Shoe Laces.These are available in various dimensions and specifications made by our esteemed clients. Our team of experts also keep ourselves abreast with industry standards to meet the changing requirements of our clients in the best possible manner. Providing quality assurance and reliable professional service satisfying their requirement is our prime motto. We manufacture our products with high quality raw materials that are tested for their efficiency, dimensional accuracy and reliability. We have highly qualified and well expertise professionals to fabricate and check the quality of the product. With the support of this unit, we also provide customized solution to our clients. Our manufacturing unit is managed by a team of experienced professionals who use premium quality raw materials to manufacture our range. 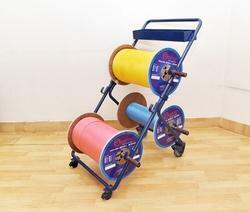 We also upgrade these machines on regular basis that ensures our smooth production process. Moreover, owing to the support of this unit, we meet the bulk demand of our clients within the committed time frame.